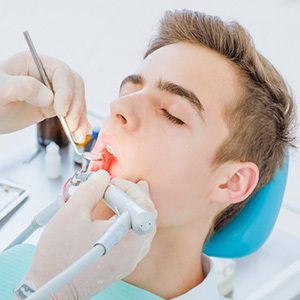 Dentists make about 2.3 million dental crowns according to the American College of Prosthodontists. Many people, maybe a few that you know personally, have one or more dental crowns, and you probably wouldn’t even know it. Modern crown devices are very life-like—they are designed to look exactly like the other teeth that make up your smile. Make time to visit the La Grange, IL dentist office of Dr. Carolyn Bronke and Dr. Josephine Puleo for an examination to find out if crowns can improve your smile. A dental crown is a hard, white, outer shell with a hollowed interior that is shaped and contoured to resemble the enamel of a natural tooth. When a tooth is worn down, cracked, and chipped beyond repair, a crown will reinforce it and protect it from damage or infection. The outer surface of a dental crown is smooth, glossy, and polished due to the high-quality porcelain material that dental technicians use. 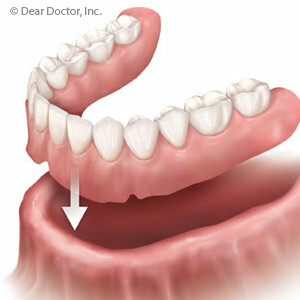 The health and stability of your smile can be compromised if even one tooth is weak, out of place, or infected. A dental crown will repair each of those issues. Also, if a tooth is too small or there is a gap between the teeth, a crown can help fill it to avoid future orthodontic problems. The most noticeable benefit of having a crown placed is that your smile will once again look beautiful and complete—even after years of dental erosion and discoloration. 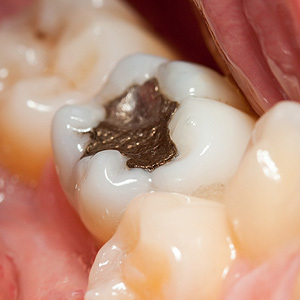 The crown treatment process will take two visits. Dental X-rays will be taken at the initial appointment with your La Grange, IL, dentist to determine if this treatment will benefit you. If so, a certain amount of tooth enamel will then be removed from the affected tooth and a dental impression will be made. A temporary crown may be added as a placeholder until your custom crown is ready. When it is, you’ll visit the office once again to have the crown securely attached with a dental bonding agent. Your smile can be stronger and more beautiful with the addition of just one crown or a crown-supported device. Call (708) 354-1335 today to schedule a dentist appointment with Dr. Carolyn Bronke or Dr. Josephine Puleo in La Grange, IL.